Do you remember a time when Ellen Degeneres wasn’t a talk show queen? When she wasn’t perpetually playing on TV screens in waiting rooms everywhere, and scoring the occasional viral hit by scaring the crap out of guests like Ben Affleck? Sure, at one time she was a standup comedian and sitcom star who dabbled in movies, but now she’s just Ellen, Oprah-like in the way she’s moved past the need for a last name (at least as far as pop culture is concerned). As such, her new movie, Finding Dory, is simply a neat thing she did in her spare time, not the end-all, be-all of her career. Flash back to 1999. Ellen’s sitcom had been canceled just a season after the famous “coming out” episode. Her movie career was d.o.a. Her talk show was in the works, but wouldn’t get off the ground and on the air until 2003. Meanwhile, Andrew Stanton and the Pixar dream team were putting together Finding Nemo, and having a seriously tough go of it. One of the many problems they faced was the lack of a quality sidekick for the main character, Marlin, the fish looking for his lost son. Bada bing, bada boom, they cast Ellen, everything else about the movie fell into place and all was right in the world. Okay. It wasn’t exactly that easy (as I touched on in an older article). 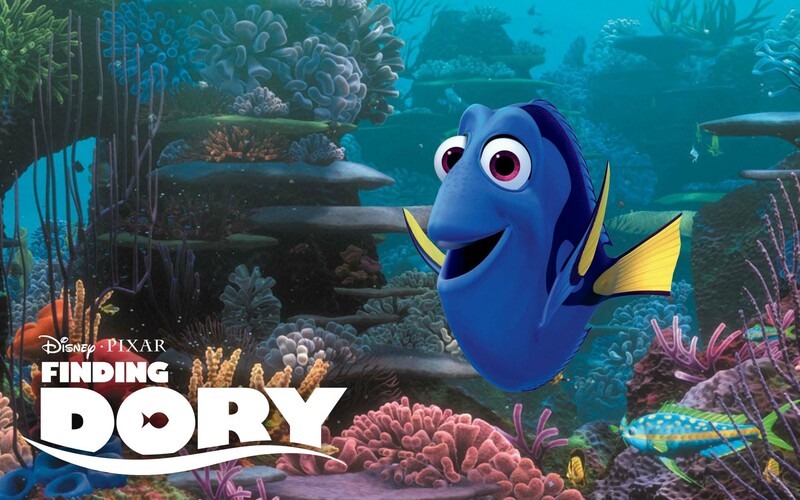 However, by the time Finding Nemo arrived in 2003 Ellen’s Dory, the goldfish with no short term memory, stole the show. Now she has her own movie. So, let’s dig into some trivia. A character with a comedic lack of short-term memory? Eh, it’s been done. Specifically, Stanton referred back to Tom Hanks’ recurring SNL bit Mr. Short-Term Memory for inspiration. Stanton now had the concept, but not the character. By somewhat random circumstance, though, he overheard a bit of an episode of Ellen’s sitcom on a TV playing in the background of his office. Voila! “Once I had Ellen’s voice in my head, it was a breeze to write. [She] was always changing course while talking, and she had this wonderful innocence.” Thankfully (and we’re skipping a couple of steps here, such as finishing the script, editing the script, sending it out to agents, etc. ), since Ellen’s career was in limbo at that point she took it as a great honor that somebody would write a character specifically for her and quickly agreed to take the role. Stanton basically wrote Dory as Ellen mixed with Tom Hanks’ Mr. Short-Term Memory, but there was a pretty crucial missing link: what would Dory actually look like? Stanton didn’t just pull out a fish encyclopedia and pick one, or do the 1999 equivalent of a Google Image search. 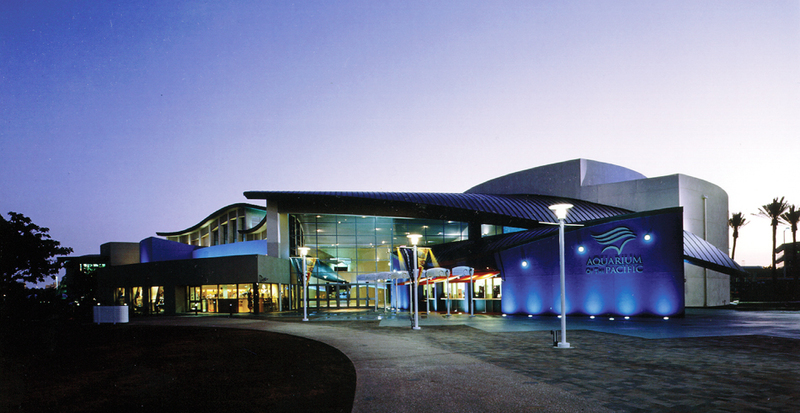 Instead, he went to the Long Beach aquarium, where he was introduced to the blue tang. 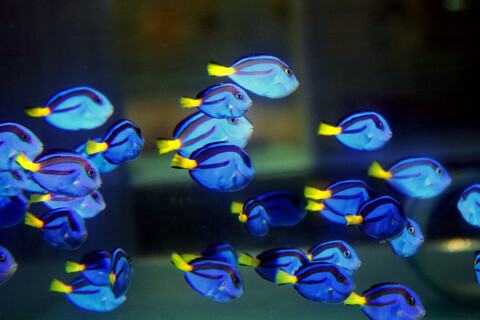 Dory was ultimately modeled after regal blue tangs. Moreover, not everyone at Pixar was convinced Dory could carry her own movie. Many might cynically assume the existence of Finding Dory is tied to wholly commercial concerns, but for Stanton the idea has been with him ever since Finding Nemo included the passing gag about Dory not being able to remember her family. To him, that suggested a backstory worth exploring. Not everyone agreed. “I remember getting mad at one point and saying, ‘She’s spent her whole youth wandering the ocean alone! She’s a tragic character, guys! '” Obviously, he eventually won that argument. Finding Dory opens on Friday (6/17). There is one way to structure a movie around a character with no memory: Memento. Yep. Let’s do it. Pixar’s Memento. Structured backwards. The kids’ll love it! I’d watch it…and then have to explain everything to my nephew. I am going to turn 22 years old soon and Finding Nemo was a very good movie. I loved it, still do. I was amazed and weirded out on how long it took them to make a sequel to it, yet again make Dory the main character when in Finding Nemo I found she was a secondary or even third character. I didn’t even know Dory was played by Ellen until Finding Dory trailer came out. Of course I was too young to know at the time I watched Finding Nemo. Thanks for commenting. There’s this whole other thing in the voice over world right now where actual voice actors have been pushed aside on major films by the Ellens of the world, i.e., the recognizable names. For example, if they made Little Mermaid now there’s very little chance they’d let a non-name like Jody Benson play Ariel. However, the beauty, as you alluded to, is that when you’re a kid that doesn’t matter. You don’t know who Ellen is or Sarah Silverman is in Wreck-It Ralph; you just respond to the characters, and if the celebs do a good job the results can be amazing.